Upscale Resale Shop Welcomes Danell Ratcliff! Upscale Resale has a new manager. Mortonite Danell Ratcliff has signed on with We Care, Inc. to be the new store manager. Many of you know Danell as the owner of LUX STUDIO. She has been in the hairstyling business in Morton for over 20 years and recently was the manager of Apricot Lane Boutique in the Bloomington area as well. Danell brings innovative ideas and a whole lot of energy to the position of store manager. Her effervescent personality and enthusiasm is contagious. Those are only a couple of the qualities which make her a joy to be around and We Care is happy to have her as a member of the team. The proceeds from sales at Upscale Resale are used by We Care, Inc. to provide services to the Morton area. The transportation for seniors and persons with disabilities, Meals-On-Wheels and the Food Pantry for those in need are all funded from sales at Upscale Resale. 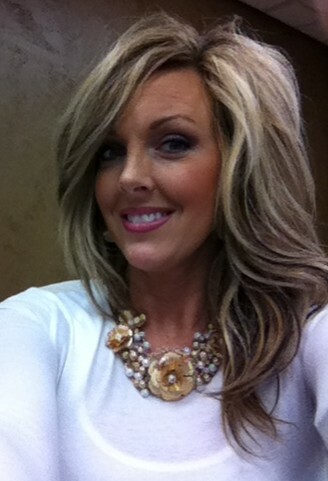 Stop in at Upscale Resale and say hello and welcome to Danell Ratcliff, the new member of the We Care team.